Every business need a stunning website. This means that any business without a website is increasingly losing business. These days the Internet is the life of every business, even the smallest firms need a presence online to hook potential customers. Your should be to make your website more friendly and easy to navigate and accessible as possible to your clients. In this article, I have gathered more than 20 great looking business website PSD templates that will help to build your Business Website. 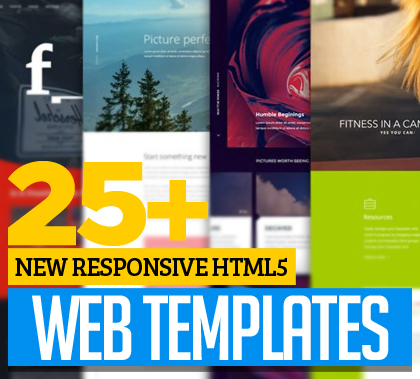 We hope you will find at least some of your required web templates in the following published list so check out and enjoy. You must also have a look on another collection of free templates by clicking on integrated link. This is not the traditional long list with all the available psd templates on the internet but it’s an refined collection of best handpicked website templates which was created with the online professional in mind as we also know that personal designs reflects the identity of each of us on the Internet. These are 25 responsive design PSD website templates which are collected from different web resources for our readers. These templates includes business templates, game zone templates, hosting templates, electronics templates, design studio templates, online stores, etc. Timessquare is a premium one-page PSD Theme. Whether you want to showcase your product or grow your company revenue. Timessquare can be used as a business, creative, or corporate theme. It’s fully layered, very well organised and easy to edit. Plano is a great flat design for almost any business or personal use. This theme has 13 psds and those contains 22 pages. ASURE is a PSD Template, ideal for all kind of Business and blog. 11 fully Layered PSD files. With a lots of design elements, multiple portfolio styles, multiple blog style option and other pages designs. Asure psds are easy to work. MINETT is a uniquely designed website template for companies wishing to present at the highest level. It has a well organized layers makes it very easy to update, flexible and multipurpose, Bootstrap layout ready, free fonts used (Google web fonts), smart objects for easy changing, all shapes are 100% scalable and editable. It has also A 12 Fully Layered Adobe Photoshop .PSD files, 2 Home page styles and 2 color styles for gallery & blog sections. This is a clean design for all businesses with more than 20 pages, different homepage layouts, 2 different footer and multiple blog and portfolio layouts. RealEstast Psd Template is The Best Solution To Sell Property Online. This template is appropriate for Real Estate Company, who need to do their business online via websites. Empire – Multi-Purpose grid based PSD design suitable for Business, Portfolio and shop websites. 29 total PSD files with 4 home page options. Boxed and wide screen layouts is what you need to go further. 1 to 4 column portfolio, multiple blog design variations, product, cart and checkout pages for eCommerce purpose are all included. A clean very easy to customize PSD template suitable for your design needs. The package contains 6 well arranged psd files. This is a powerful theme designed in a clean and minimalistic style. This template is very flexible, easy for customizing and well documented, approaches for personal and professional use. It has been coded in HTML5 & CSS3 and jQuery. It has a solid flexible responsive layout that scales from 320px to 1170px. This package contains 15 psd page templates homepage includes two styles a boxed and a wide one. It has many color Schemes and background patterns suitable for your design needs. Riley is a uniquely designed website template for companies wishing looking for original design like tool for modern presentation. This package contains 18 psds with this theme: 9 PSD normal and 9 High Resolution. Alluere Fashion Shop – PSD Template is design which is ideal as it is for online shop site. The design is very elegant and modern, and also very easy to customize. 14 PSD files with 6 homepage included. Adila is very clean and minimal design template for corporate site. its best suit to both corporate as well as portfolio business one. The each layered is vector and well named, so its very easy to find the right suitable effect to converts its html. Mookie is flat and modern template that can be adapted to almost any kind of website! Ideally suited to both the role of the portfolio, as well as the company or corporate. Template is prepared in accordance with the latest trends, thats why it looks modern and clear. Built on a 12 column grid and grouped PSD file to make it easier to create the HTML version. Motor is a vehicle marketplace template consisted with 12 PSD files. All layers are organized properly, so it takes you a moment to find necessary layer and edit it. NORMA is a Clean & Responsive PSD-template which is perfect suitable for every business project. We offer you a clean style theme with excellently arranged functional content. Free Running single page with it’s clean and minimalist flat style design is suitable for any purposes (business, corporate, sport, travel, webdesign/development agencies, and more…). These 8 PSD files are fully layered and layers are well named and organized within folders to make them easily accessible and use. O’prime is a very clean and modern designed PSD template for multi purpose for any business. The PSD files were made in Adobe Photoshop CS6, and should run in any other Photoshop version. All PSD files are fully layered and organized, so the customization is easy.